Batman #44 verrà pubblicato con due cover diverse sulla regular, distribuite in ratio 50:50, una dedicata a Batman, una a Catwoman. Se siete interessati a riceverle entrambe ordinate una seconda copia (volendo potete scriverci e la aggiungeremo noi). Altrimenti ne invieremo una delle due a caso (potete scrivere per preferenze ma non possiamo garantirle!). DC celebrates the upcoming wedding of Batman and Catwoman by adding a new cover to BATMAN #44! Each of the main covers reveal the happy couple in their wedding attire. One cover features Batman with art by Mikel Janin; the other spotlights Catwoman with art by Joelle Jones. These covers will ship to retailers in an approximate 50/50 split under item code FEB180164 . This issue follows Batman and Catwoman on two separate but parallel paths as their wedding planning kicks into high gear. Selina picks out her dress, and Bruce starts to make arrangements for their new life together-but this being Gotham City, and they being Batman and Catwoman, you can bet that nothing will go as expected! The story is written by Tom King with art by Mikel Janin and Joelle Jones, and a variant cover by Olivier Coipel. BATMAN #44 (FEB180164) is on Final Order Cutoff on March 12 with an April 4 on-sale date. 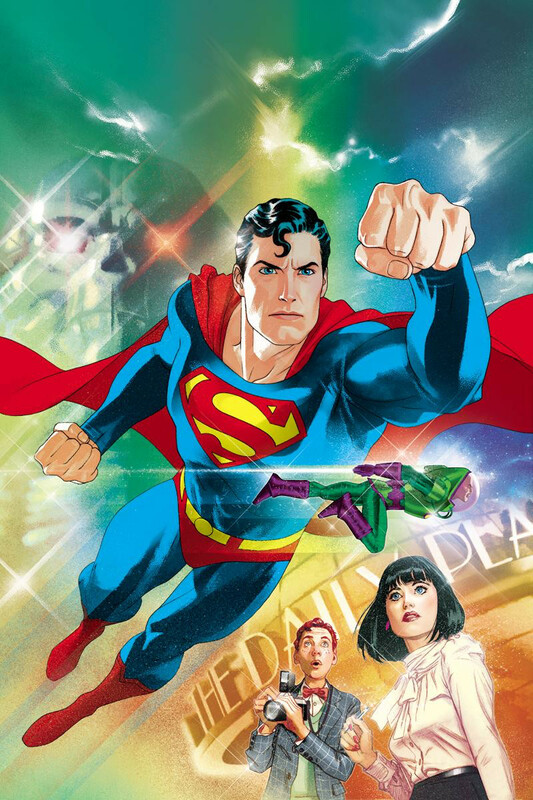 Rivelata anche l’ultima variant cover di Action Comics #1000.